Funeral Services for Ardis E. Madson, will be held at 10:00 A.M. on Saturday, February 9, 2019 at West Freeborn Lutheran Church. The Reverend Steven Schwartz will officiate. Burial will take place in West Freeborn Cemetery. Visitation will be from 4-7 on Friday at Bonnerup Funeral Service, Albert Lea and again one hour prior to services at the church. 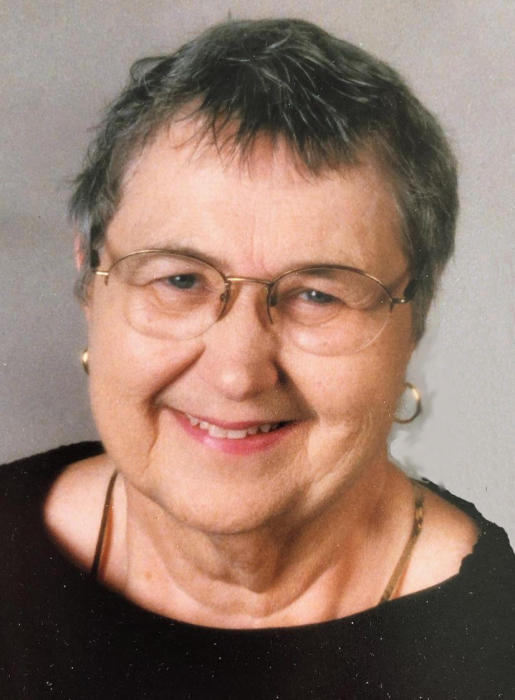 Ardis died on Tuesday, February 5, 2019 at St. John’s Lutheran Community on Fountain Lake in Albert Lea. She was 86. She was born on June 22, 1932, in Madelia, Minnesota the daughter of Harold and Josie (Nundahl) Jensen. She graduated from DMLC High School in New Ulm and obtained her training from Naeve School of Nursing. On July 10, 1953, she married Milo Madson in Osage, Iowa. The couple was blessed with four children. Ardis, nurse, and forever caretaker, worked at the Albert Lea Medical Center and then the New Richland Care Center until she retired in 1996. Strong in her faith, Ardis was very active in West Freeborn Lutheran Church where she had served as organist, choir director, Sunday School Teacher, Luther League Counselor, and was very active in Circle and Ladies Aid. Throughout the years Ardis enjoyed bowling, golfing, playing cards and traveling and exploring the world with Milo. Ardis is survived by; children, Joel (Koreen) Madson of Waseca, MN, Connie (Kelly) Brown of Waverly, IA, and Kristin (Mark) Langan of Austin, MN; grandchildren, Tony (Megan) Madson, Milton Madson, Casey (Stacie) Madson, Tanya Madson, Courtney (Beau) Martin, and Taylor Brown; great-grandchildren, Felicity, Haley, Harper, Lane, Whitney, Kate, Lilly, Colton, Evelyn, Emry, and Jocelyn; sisters-in-law , Jeanette (Ron) Johannsen of Rochester, MN, Marsha Jensen of Spring Hill, FL; nieces and nephews, whom she dearly loved, as well as many extended family and friends. Ardis was preceded in death by her husband Milo in November, son Paul Madson, grandson Jesse Madson, her parents Harold and Josie Jensen, brothers JeRay and Charles Jensen.